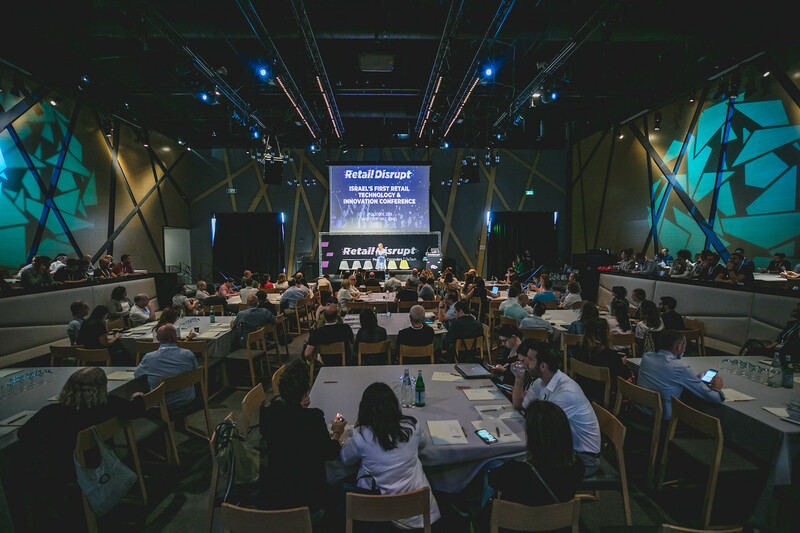 Last month I had the honor to participate in at Retail Disrupt – a first of its kind conference in Israel about retail, technology and innovation. As a community manager at Re:Tech, seeing all the retail tech startups I work with on a daily basis, along with top representatives from international corporates such as ASOS, Myntra, Uniqlo and JD.com was an amazing experience. 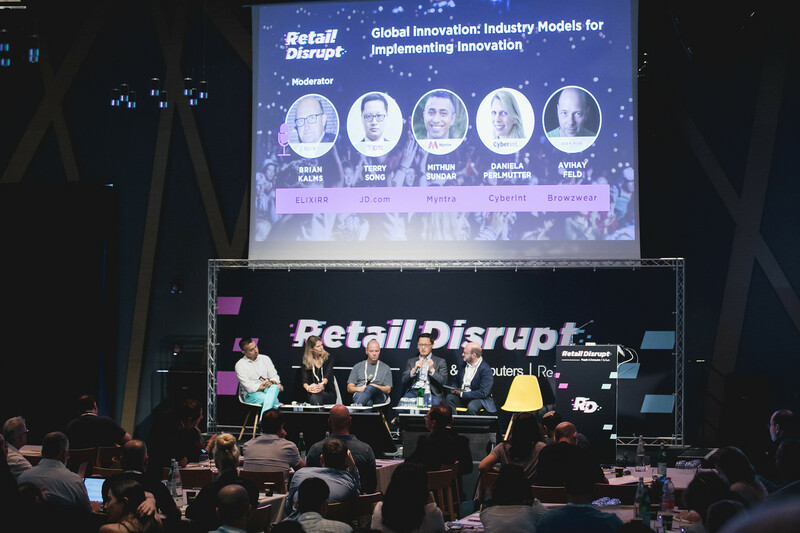 Close to 1,000 people came to learn about the opportunities and challenges facing the retail industry, from 45 speakers from around the world. As challenging as it is to summarize the event In a few words, there are clear trends that came up throughout the conference, so I decided to do a little recap. One of the burning issues in the retail industry today- catering to generation Z- was covered in a fascinating panel with Syte‘s, Co-founder Lihi Pinto Fryman, executive chairman of General Pants, Phil Staub and 2 key influencers – Sivan Pnini and Korin Avraham. Here’s the deal: Generation Z loves staying true to itself, but has almost zero loyalty when it comes brands. The solution? You guessed it right. Retailers today, more than ever before, are demanded to create exceptional customer experiences to keep this younger, more digital generation engaged. Folks like my little brother have created a new challenging reality for brands, that must embrace cutting edge technology and create holistic experiences to differentiate themselves in the market. After the panel I had a chat with executive chairman of Geneal Pants, Phil Staub. He used a word the sums it all: Language. According to Staub, generation Z customers want to buy in stores that speak their language. Retailers, he said, must give their clients topics to talk about in social media that will make them feel a genuine connection. Or to put it simply: shared language = stronger relationships. The result: rising emotional connection to brands among the most hard-to-get generation in the world. Another hot topic that was covered at the Retail Disrupt conference which I personally relate to, is corporate responsibility. When my friends and I consider where to go shopping, whether its online or offline stores, aspects like community, sustainability and ethical production of clothing are a major part in our decision. And we are not alone: most customers today are looking for value-driven brands, demanding retailers all over the world to show social awareness to stay relevant. Whether it’s a new body cream, a T-shirt or coffee, the story is what’s important. It’s what makes us come back. Bottom line: brands who don’t provide an authentic brand story- the kind that transcends social and moral values, will stay behind. Keeping it real is key. How do large companies keep up with change? On my first day at Re:Tech, a delegation of ASOS execs visited our hub, as part of its seek after disrupting Israeli technologies. I remember firsthand the energy of the 1:1 meetings held between ASOS’s team and the Israeli startups. Steve Lidbury, Managing Principal at Eight Inc. (the company’s that’s responsible for the design of the Apple store), gave one of the most engaging and interesting keynotes at the conference. According to Lidbury, Innovation is not just about revolutionary technology. Innovation is in the details. When Eight Inc. came out with Apple’s first store, putting computers on kitchen tables was revolutionary. Dressing up salespeople in T-shirts was revolutionary. These are small details, but they make a difference. The world of large scale delivery is changing, and with innovative technologies around transforming the way that our products are delivered, it is clear the future of delivery is headed in exciting directions. Out of the endless amount of companies looking to try out new technologies on the market, Israel has some unique contribution to this field. During Retail Disrupt’s startup competition, CEO Hagar Rips talked about how huge sellers like Ebay, Target and Amazon could increase revenues dramatically if only they would sell their large products internationally. Trying to solve this issue, Rips founded Ladingo, a startup which enables online retailers to sell large items to international shoppers via ocean freight, utilizing its container-sharing optimization algorithms. The impressive panel of judges in the competition, which included Terry Jones, JD.com’s Senior Director of Strategic Investments, Kentaro Tanoue, Director of Global Digital R&D at Fast Retailing (the holders of Uniqlo, among other brands) and John Mooney, ASOS’s Brand Creative Director, agreed with her. Out of hundreds of startups that applied, Ladingo was chosen as the most disruptive retail technology startup, showing how the future of large-scale delivery is impacted by Israeli tech. A lot had been discussed at the event around the rise of Artificial intelligence. 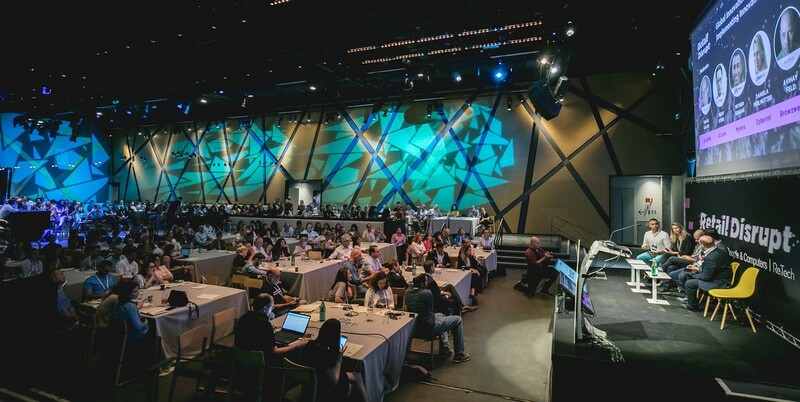 This trending topic was covered in an excellent panel which included Karina van den Oever, principal at Elixirr, Ran Zfoni, CEO at Mmuze, Amir Konigsberg, CEO at Twiggle, and Avi Vizel, Development Advocate at IBM Israel and Gadi Mikles, Head of Product eBay. Mikles gave an excellent overview in a panel on Conversational AI. One of the interesting topics that came up was chatbots. According to Mikles, chatbots still can’t figure out sentences in depth. That’s why, it’s important we understand AI isn’t the goal- but the Enabler. The focus should be on the product, while chatbots are supposed to assist in mediating between the problem and the solution offered by the product. Another topic that I found particularly stimulating was how to create a better conversational AI experience. Instead of expecting AI to solve everything, Mikles suggested, we should start small, and progress incrementally. Expedia, for example, is focused on flight, hotel and car reservations- a very defined area which helps them work relatively well. I came to the conference knowing there are some keynotes that are a MUST. The keynote given by Daniel Gabay, CTO at Triggo, was one of them. Gabay focused on how computer vision is revolutionizing shopping- from automated and smart stores to shelf scanning robots, this technology in is gaining huge popularity among international retailers. In his talk, Gabay showed a video which gave a taste of Trigo’s advanced retail automation platform. People in a supermarket, filling their shopping carts and paying in a “grab-an-go” systems, made the long lines I have to face in my local supermarket look extremely unappealing. Technologies like the ones developed by Trigo are the new game changers for in-store shopping. By identifying customers’ shopping items with a high level of accuracy, computer vision can provide much more than a seamless checkout process. It can prevent shoplifting and provide valuable retail insights. Personalization is not a new concept in the retail industry, but it is definitely gaining more focus in times where consumers are exposed to endless information and attractions. 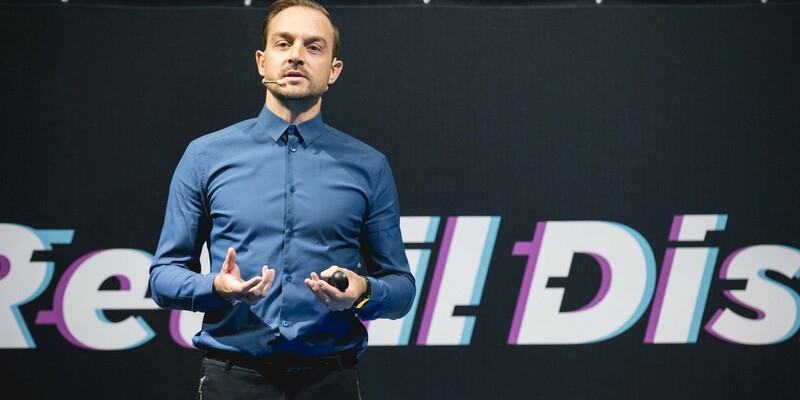 Throughout the conference, speakers addressed the importance of providing consumers with a tailored experience, in a way that will address their physical and digital shopping experience as a whole. Jude Reter, VP of Digital Experiences at EXPRESS, shared how his company, with its massive online presence and more than 600 stored across the US, prioritizes this topic in relation to technology: “Since fashion is emotional and personal, we use consistent experiences. I look at tech as what my customers need and want. At EXPRESS, we value consistency across channels- it builds trust for customers”. The key learning here was that personalization, when done right, can truly drive drives customer loyalty. By putting themselves in their customers’ shoes and adopting omnichannel customer journeys, retailers can gain major benefits. Reter’s point is clear: no matter which channel customers choose to use – mobile, desktop or in-store – the experience should be consistent and seamless at all times. Technology, as fascinating, cool, innovative it may be – is not enough. In the end of the day, a human sense of belonging is key to attract costumers back to stores. One of the main takeaways from the conference for was how, in the end of the day, while technology can and should help retailers, they must focus on the client, his need and his problems. Technology is the means, not the goal. When costumers truly connect and want to become the ambassadors of the brand, the benefits are huge. Taking part in Retail Disrupt, both from the planning side and as an attendee, was a unique experience. Out of the various sessions in the event, learning so much about the challenges facing the retail industry today and seeing the impact of Israeli technology in this field was very powerful. During the event, Re:Tech released a first of its kind infographic featuring the top startups in Israel that are developing technologies for the global retail industry. The 6 key areas – smart stores, conversational commerce, computer vision, IoT, cyber protection and supply chain technology, reflect the combination of market interest and Israeli innovation. Next time, we will dive deeper into these trends and learn about the startups that are reshaping the future of global retail.